Thomas Henry Dearin was born in Sydney in 1847 to parents Thomas Browning and Marian Dearin. He married Ann Jane Rofe at St Paul’s Church of England on Cleveland Street, Redfern in 1869. They had nine children together: Thomas Richard Browning, Annie Louisa, Herbert Henry, Walter James, Miriam Blanche, Eva May, Septimus, Daphne and Beatrice. From the 1870s, Dearin and his family lived on Castlereagh (Chalmers) Street, Redfern and briefly in Manly in 1887 before purchasing a property called ‘Daphne’ at 6 Dowling Street, Redfern from about 1888. According to one report, the property had a ‘pretty ballroom’ attached to it. Dearin died at his residence on 26 August 1916, his estate valued at £31,319. The funeral left his residence for Waverley Cemetery on 28 August where he was buried, his headstone reading ‘Alderman of Redfern for 21 years’. Before his entry to local government, Dearin was a coal merchant on Druitt Street, Redfern. He was also an auditor for Redfern Council. He was a keen bowls player, winning a contest playing for the Redfern Clubs against the Balmain Green in 1898. 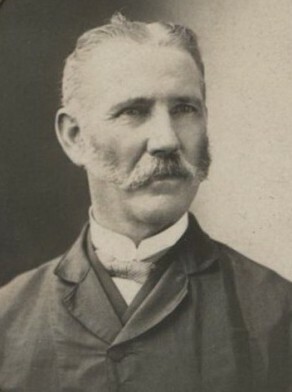 Dearin was elected an alderman of Redfern Council on 27 May 1889, after a vacancy created by the death of Alderman Peter Sutton. He served until 1891. In February 1895, Dearin took legal action against Redfern’s Mayor, William Davis, for entering into a contract with the municipality for the supply of electric light for his hotel in Crown Street, outside the municipal boundaries. A hearing was held at the Supreme Court in May and the judge ruled in Dearin’s favour, finding Davis ‘entered into a contract with the council for the supply of electric light to his house’ and that he was in breach of the Municipalities Act which ‘forbade aldermen from entering into contracts with municipalities’. Though Davis resigned after the decision, he was re-elected unopposed the following month. Dearin stood for election again in September 1900, after an extraordinary vacancy was created by the retirement of Alderman William Thomas Poole. He was elected on 26 September with 119 votes, serving until 1905. He was again elected in 1908, serving until 1915.